BRETHREN, in winning the Sam F Davis Stakes, was the only Derby Top 20 horse that moved forward on the Trail this week. A half brother to last year's Derby winner Super Saver, the 3-year-old son of Distorted Humor easily dispatched an outclassed field. BRETHREN delayed the start momentarily by loading poorly into the gate, and then broke late from post 10, giving his rivals a couple of jumps. But he easily settled into a stalking 2nd place position behind Ribo Bobo by the time the field had rounded the clubhouse turn. Eclipse winning jockey Ramon Dominguez, who scored a hat trick in winning all three stakes races on the card, eventually coasted Brethren to an easy score in the Grade 3 Sam F. Davis. "He won it like a good horse should," Dominguez said in recapping the race. "We set up and relaxed just off the lead in the first turn and I was able to wait down the backstretch. I asked him in the turn and he came away very nicely. I took a look on both sides in mid-stretch and there was nothing coming so I was able to wrap up on him going to the wire and out. The distance was no problem for him at all." Still, one has to wonder what Brethren got out of the race that was not really much more that a $225,000 workout against an outclassed field. 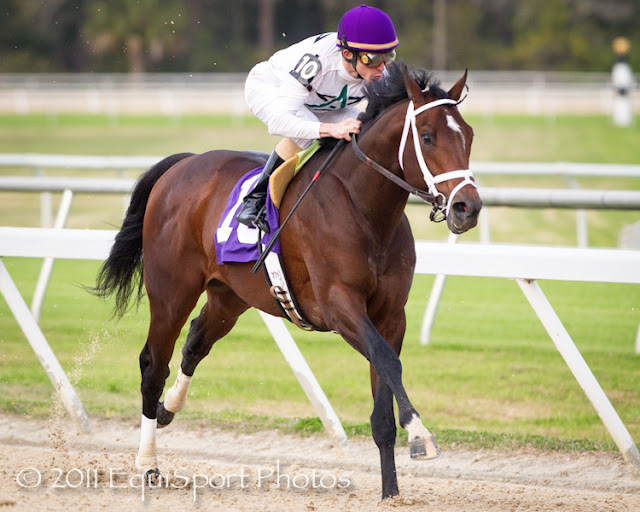 His earnings of $120,000 for the race puts him solidly in the Derby field for now. But, will Brethren will be back here to challenge stablemate Uncle Mo in the Tampa Bay Derby March 12th. It's doubtful. Not that Tapizar (Robert Lewis S.) or Comma To The Top (El Camino Real) needed to post a win, but those two both faded badly coming for home. So what was going on with TAPIZAR in the Robert Lewis? Garrett Gomez had his hands full. The unruly 3-year-old was rank all the way down the front side, settled reluctantly on the back, but there was nothing left when heading for home. ANTHONY'S CROSS, meanwhile, prevailed in a thrilling stretch dual over RIVETING REASON. Trainer Eoin Harty had Anthony's Cross cross entered in the El Camino Real, but opted for the Robert Lewis. 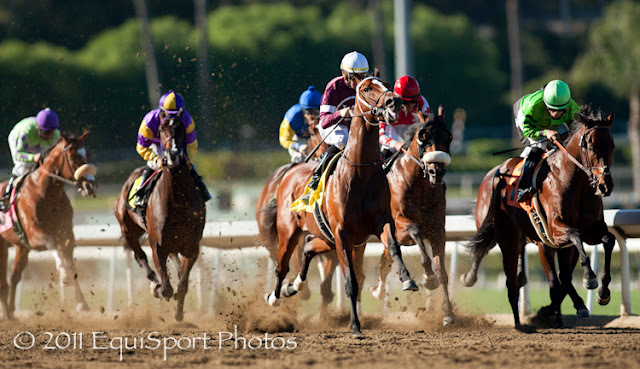 "With the exception of Tapizar, the rest of the field was unproven, a bunch of turf horses. 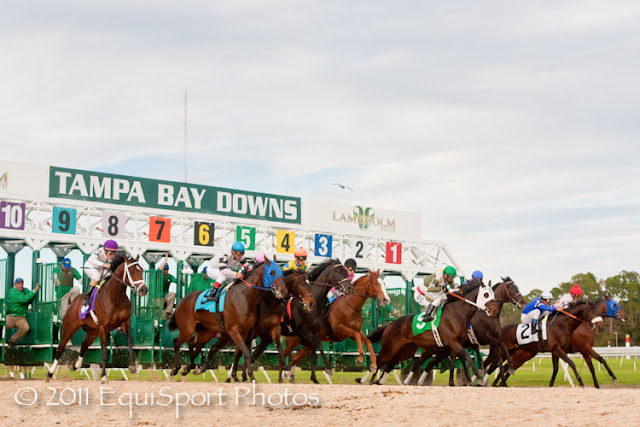 We didn't know if we'd win (with Tapizar in the field), but we thought we'd run a good race," Harty said. 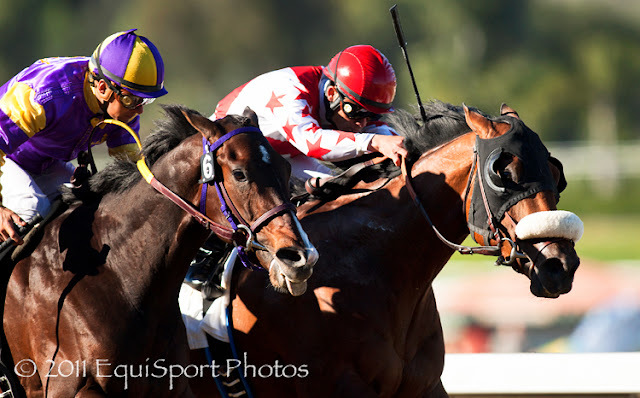 Also making a move this week was SILVER MEDALLION, winner of the El Camino Real. In a well timed move by jockey Russell Baze, the Steve Asmussen trained son of Badge of Silver fired just in time to clip Jakesam at the wire. "He was calm and very relaxed today," said Baze, "I was a little concerned he might be sick because he was so calm going to the gate. He's a nice little horse to ride." The "WORD". 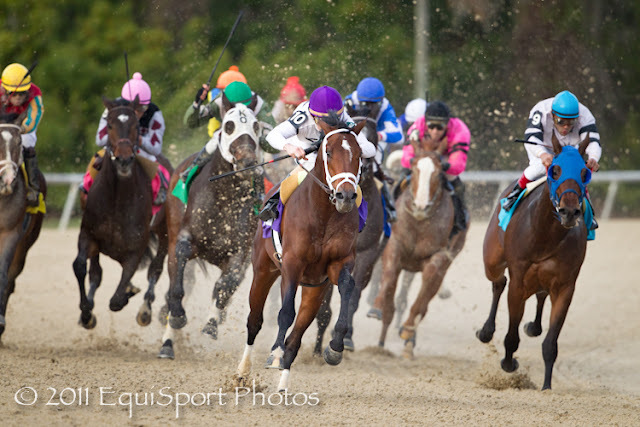 Top 25 (or so) Kentucky Derby Trail.